You’ve had all the excitement of Christmas. You’ve made it through the ‘Crimbo Limbo’ period by stuffing your face and watching too much TV. It’s now time to gear up for ‘the biggest night of the year’! A lot of focus is put on New Year’s Eve to be the ultimate party and a great way to send off the year and welcome in the latest. Whether you’re someone that loves or hates New Year’s Eve, we’ve come up with some suggestions that should hopefully cater for all tastes. The power of the playlist – make sure you dedicate some time to create a music playlist worthy of the occasion. 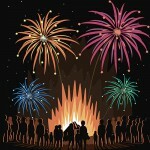 Invites – don’t let the numbers get out of hand, but also have enough to create the best atmosphere. Neighbours – let them know what’s happening in advance to keep the peace. In fact, why not invite them and really get in the good books! Nibbles – keep them quick, easy and tasty. Don’t go overboard and consider your carpets! You might be thinking “what on earth are you on about?” with the whole staying in is the new going out mantra! This is because you love a big night out and NYE is the perfect time for the biggest of them all! 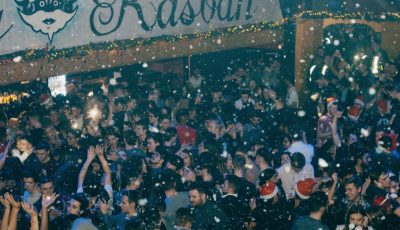 Student favourite Kasbah has a great selection of club nights over the festive season, culminating in their massive New Year’s Eve bash – complete with confetti cannons, face paints, snow machines and of course, great music. Even if you don’t go out on New Year’s Eve, you have every intention of staying up until midnight to say “I was awake when it happened”… And then you fall fast asleep at 8.30pm! One way to combat this is to turn your evening into a full on binge of your favourite TV shows or movies. Why not make a night of it with loved ones or friends – get the snacks in, a nice drink, some comfy clothes and enjoy?! 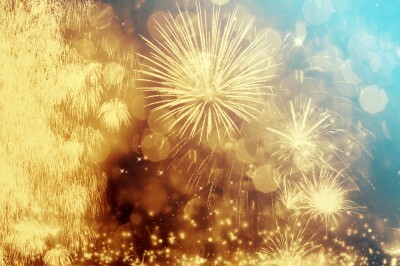 Fireworks are now synonymous with New Year, and the iconic display in London always seems to set the standard. 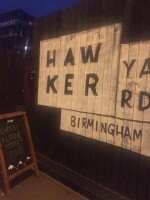 However, Coventry is very close to the UK’s second city (Birmingham), who put on a NYE spectacular of their own. This takes place in the wonderful Centenary Square and attracts thousands of visitors from the city and across the region – and it’s FREE! You can find out more of what’s on offer in Birmingham this New Year here. Well, because sleep is awesome and Christmas has been a busy one! We hope everyone has a very Happy New Year! Whichever way you choose to see in 2018, enjoy. And don’t forget to get in touch with us via social media if you take on board any of our suggestions!